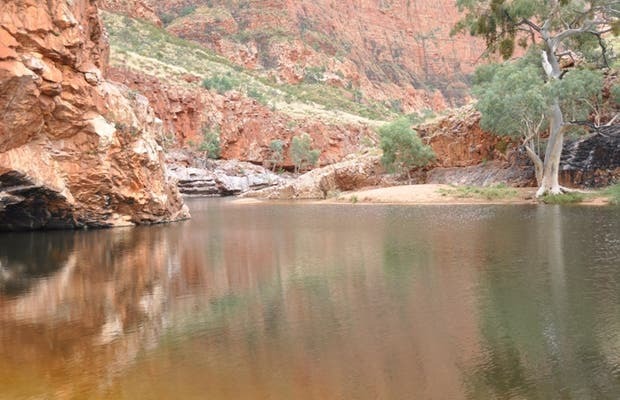 I thought this was the most amazing part of the West Macdonnell Range (a little over 130 kilometers from Alice Springs). It is a throat like many others in the region, but this one is the only one that has a path which takes you to a vantage point to see it from another place above. If you like to walk, we have a tour called Ghost Gum Walk, around 30 minutes walking through the throat (you have to cross the river).